Decided to draft this post yesterday since I have the time as I won't have so much time this and next week! Got invited from the sample store, and I have never used any Hada Labo products before hence I decided to give this a try! About a week of using it, (alternatively since I don't dare to mix it with my DRx products daily) It is hydrating enough, I have oily combination skin, but I'm always sleeping with the air-con on, my skins do get dry once in awhile so it's good that I decided to try this! So if you're a big fan of Hada Labo, you'll know they have released a new product! 3. Hyaluronic Acids (HA) and nano-Hyaluronic Acids: HA is a natural component found on the skin. The duo-HA molecules instantly hydrate and lock-in moisture, keeping skin soft, smooth & bouncy. I love how the gel absorbs pretty fast, not greasy and good for oily combination skin. No breakouts so far! For the whitening effect, I don't see any results maybe because I don't apply it daily but it does it the job to keep my skin moisturized! P/S: this picture was taken yesterday.. managed to draft this update as well! Time for some free items, my dear readers! 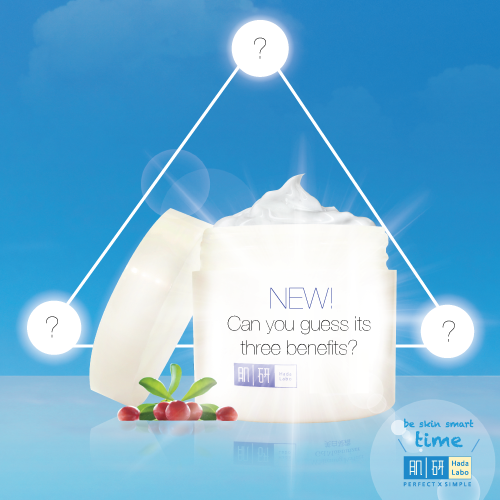 Do look out for Hada Labo 3-in-1 Arbutin Whitening Perfect Gel Snow Princess game on Hada Labo Sg Facebook page: http://www.facebook.com/hadalabosg as you'll a stand to win this product as well! You can now redeem a Hada Labo Arbutin Whitening Lotion sample on SampleStore.com. While stocks last!